Boxing finally picks up after a slow month of August, and this week’s matchups are the perfect way to kick-off a loaded fall schedule. Boxing finally picks up after a slow month of August, and this week’s matchups are the perfect way to kick-off a loaded fall schedule. 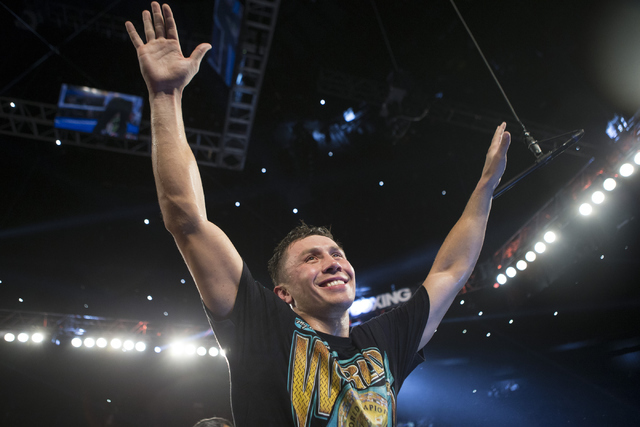 There’s plenty to choose from in September with Gennady “GGG” Golovkin and Saul “Canelo” Alvarez in action. It gets better in November with two big Las Vegas fights. The October slate is slim, but other bouts could be in the works. Here are the top-8 can’t-miss fights for this autumn. Keep in mind, title fights and local bouts received priority. This under-the-radar matchup between two foes who dislike each other is destined for fireworks. Sergio Mora has been pleading for a rematch with Daniel Jacobs after both fighters hit the canvas in their exciting first round 13 months ago. 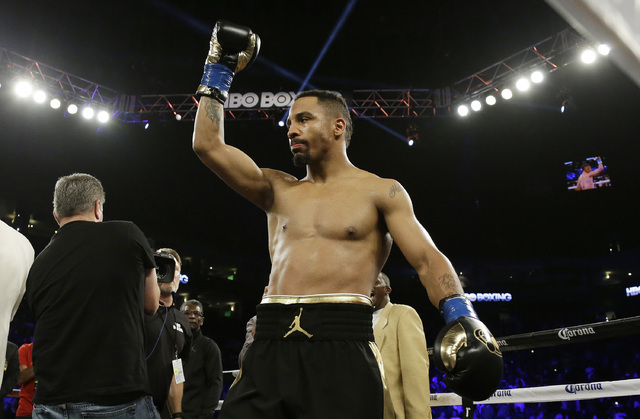 Mora sustained a second-round injury to give Jacobs the win. Expect someone to get knocked out, most likely Mora. Jacobs is arguably the best middleweight not named Gennady Golovkin. If “The Miracle Man” takes care of Mora, maybe he fights the most feared boxer on the plant next. That’s a big if. Boxers tend to hide their pens when the contract comes to face Golovkin. It might be hard to find this terrific bout if you don’t have one of those pricey sports packages, and if you don’t, find it online. This matchup between Anthony Crolla and Jorge Linares is worth the trouble. Linares and Crolla have been rolling through the lightweight division. The fight should have been a unification battle, but the WBC decided to strip Linares after not making a title defense in April because of injury. 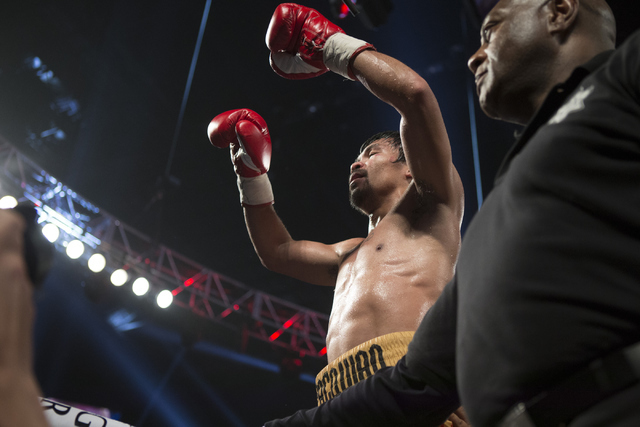 OK, this one isn’t set in stone, but Jessie Magdaleno and Top Rank promoter Bob Arum are optimistic it gets done this week and lands on the Manny Pacquiao-Jessie Vargas undercard. Also, Magdaleno is a Las Vegan, so it goes on the list. Donaire and Magdaleno are going to let their gloves fly for this explosive matchup. Donaire has the edge in experience, but has struggled against top competition, with losses to Nicholas Walter and Guillermo Rigondeaux. Not saying Magdaleno is on the level of those fighters, however, the 24-year-old is on the rise and has potential to steal the belt away from the Filipino. Why is this fight happening? Someone say fear of Golovkin? Let’s not get into that. This is the fight we get and Saul “Canelo” Alvarez is still one of the top fighters in the world. Just enjoy watching one of the best perform in the ring. Wait, this fight is gonna cost how much on pay per view? OK, maybe wait until the replay airs a week later. Expect Liam Smith to give Canelo fits early and survive 12 rounds. Alvarez will rock him a few times, but this Englishman is no pushover. Let’s just hope Alvarez does go up to 160 pounds for his next fight to begin the path to Triple G.
Here’s another head-scratching pay-per-view bout. Yes, maybe Terence Crawford was the better matchup for Manny Pacquiao, but Crawford wasn’t ready to be a welterweight. So Jessie Vargas received the nod, and Pacquiao won’t run away with this one. Everyone is counting out the Las Vegan Vargas, but Pacquiao is 10 years older and not 100 percent focused on boxing due to his duties as a Filipino senator. Remember the last time Pacquiao wasn’t mentally prepared? He turned into a meme after Juan Manuel Marquez knocked him out cold in 2012. Also, Vargas is coming off his best performance in a KO victory over Sadam Ali to win the belt in March. After all that, still Pacquiao has the slight edge, but that might change come November. Who cares about the little guys? Well, it’s time to care because this is a terrific matchup. Roman “Chocolatito” Gonzalez, considered by many as the best pound-for-pound fighter, is moving up to try to capture a world title in four weight classes. Gonzalez, like the great ones do, was in search of a new challenge and Mexico’s Carlos Cuadras fit the bill. Cuadras is arguably the top super flyweight in the division and won’t back down to Nicaraguan. Some fans might have a problem with Gennady Golovkin facing a smaller opponent in Kell Brook, but don’t underestimate the welterweight champion. Brook has the skills to compete with the middleweight monster and could be Golovkin’s toughest test. The Englishman will give Golovkin a sweat, not many boxers can say that, but this is a daunting task. Look for “GGG” to record his 23rd consecutive KO. It’s always entertaining when the “Big Drama Show,” like GGG likes to say, is on the tube. We didn’t get Canelo-Golovkin this year. Don’t worry. This matchup between Sergey Kovalev and Andre Ward is better, at least on paper. It’s the most competitive title fight that could be made in boxing today. The powerful Kovalev versus the technically sound Ward. So many questions to be answered in this fascinating matchup. Will Ward have enough power in his punches against the 175-pound kingpin? Will Kovalev get frustrated against Ward’s defensive tactics? This is a fight you should consider attending. If you’re looking for a fight to attend this fall and can’t make one of the eight above, consider the Knockout Night at the D series at the Downtown Las Vegas Events Center. There’s a card on Friday and returns Sept 30 and Nov. 18. Tickets start at $15. Another intriguing matchup is Las Vegan Ishe Smith against Frank Galarza on Sept. 16 at the Cosmopolitan, with tickets starting at $29.